Your air compressor is probably the most important piece of equipment in your business. Being at the heart of your operations your air compressor is pumping the ‘blood’ to all the vital ‘organs’ around your plant to ensure everything is working. Your air compressor is your trusty workhorse quietly getting on with its work with minimal fuss and dependable reliability. So with Valentine’s Day upon us it is time to give your air compressor some attention. Just like any piece of equipment there are times when you need to assess the current and future needs of your business and make important decisions. When the time comes to retire your old workhorse air compressor, don’t make the mistake of replacing it like for like. Using old technology would be a mistake. It may seem rather daunting researching new compressor technologies with scary looking price tags and complex technical specifications. Don’t be intimidated by the homework or blindsided by the facts. By contacting a reputable air compressor supplier you will receive informed and professional advice so you will be able to assess your air compressor and make clear and informed decisions about the current and future compressed air needs of your business. When choosing a new air compressor it may be tempting to go for cheaper options that claim to achieve similar results. But as with most things in life choosing a branded option is almost without a doubt going to perform better than a cheaper version: as the expression goes ‘buy cheap, buy twice’. 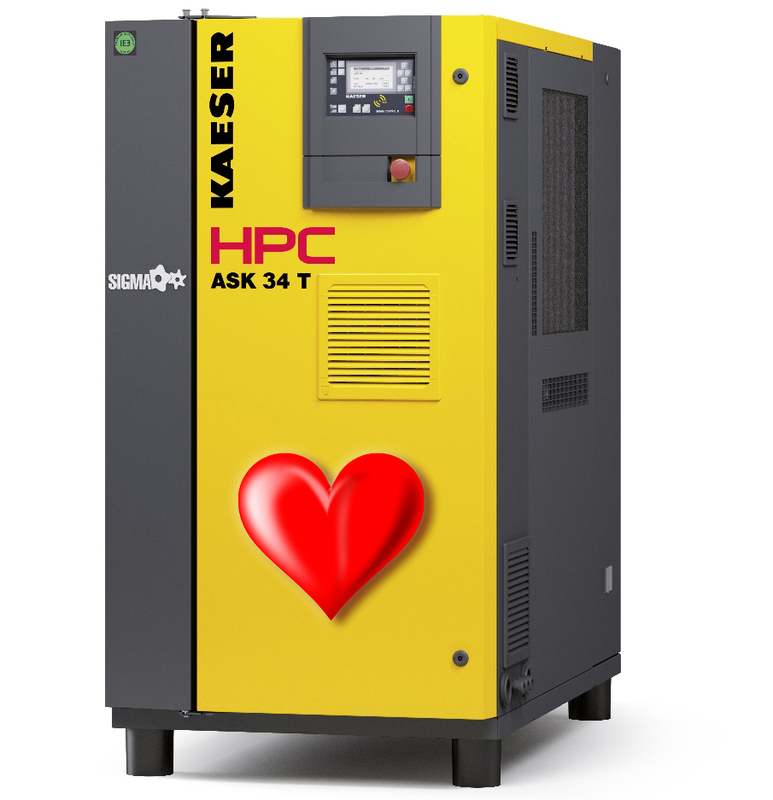 HPC KAESER Compressors have been relied upon by customers across the globe for nearly 100 years and are an infamous feature in most factories in the world recognised by their bright yellow casings. Glaston Compressor Services Ltd is a HPC KAESER Compressor UK authorised distributor. Glaston Compressor Services provides professional and experienced customer support and service to all buyers of HPC KAESER Compressors within the UK. To have your air compressor assessed or to discuss your compressed air needs contact Glaston today for personal and professional advice. Visit www.glaston.comfor more information. To have your air compressor assessed or to discuss your compressed air needs contact Glaston today for personal and professional advice. We can also help you choose nitrogen generation equipment for your business.